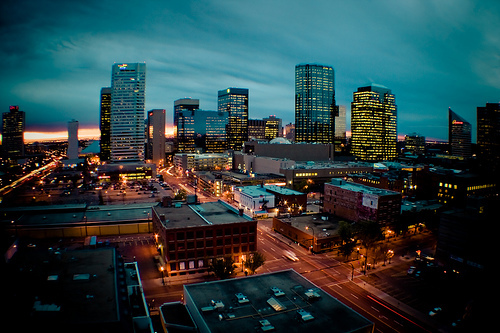 At the core of the city is Edmonton's Downtown, consisting of the city's Commercial Core, the Arts District, Rice Howard Way, Jasper-West, McKay Avenue, the Warehouse District, and the Government Grandin area. 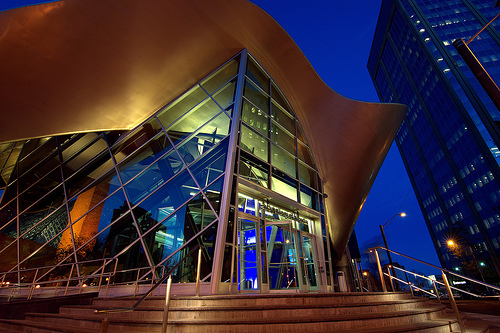 The Arts District is the cultural heart of the city, including most of Edmonton's primary cultural building including the Citadel Theatre, City Hall and The Art Gallery of Alberta. The Government Grandin area is home to many city and provincial government buildings including the Alberta Legislature, while the Warehouse District contains older brick warehouse leftover from when this area was the city's prime industrial core: many of these heritage buildings are being restored, renovated and converted into trendy loft and condominium spaces. Across the river from Downtown Edmonton is Strathcona, considered by many to be the trendiest and most vibrant area of the city. 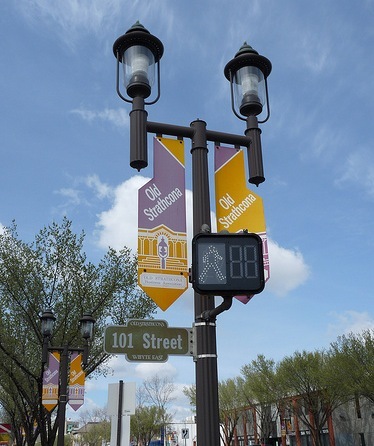 Home to the popular and bustling Whyte Avenue which offers some of the city's best nightlife, Strathcona is a major cultural hotspot, hosting festivals throughout the year and set apart by its many locally owned and operated restaurant, cafes, businesses and boutiques. 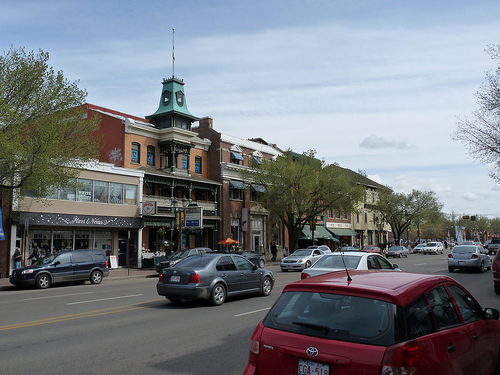 Nearby is the French-Canadian inspired neighbourhood of Garneau and the main campus of the University of Alberta. 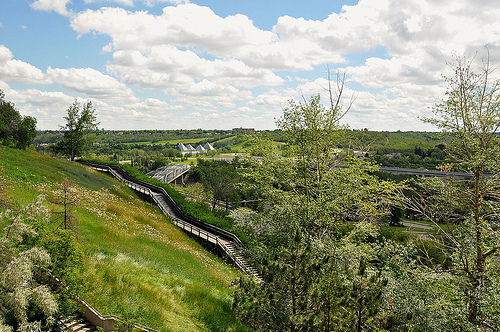 Beyond this urban core can be found the more mature suburban areas of Edmonton, including Rundle Heights, Sherbrooke, Allendale and Empire Park among dozens of others. These higher density suburbs offer a variety of housing choices including single family homes, townhouse complexes and walk-up apartment and condominiums. Only 15 minutes north of St. Albert on Highway 2, you’ll find Morinville - a modern, young, vibrant community, offering a rich history and comfortable atmosphere. 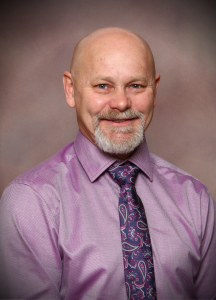 Morinville is an active community, providing all the recreational opportunities that one typically finds in larger populations. Enjoy our beautiful parks, excellent sports facilities, paved walking trails, or spend the day fishing at our annually stocked Fish and Game Pond. 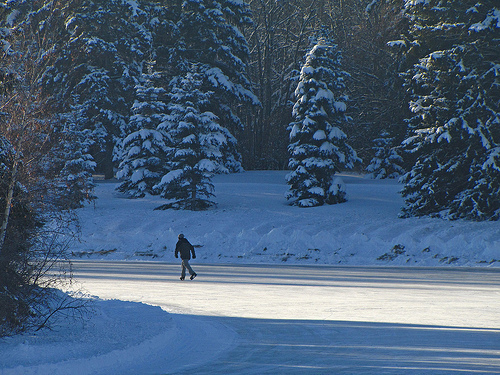 Among many other activities Morinville offers skating, hockey, curling, tennis, baseball and soccer just to name a few. Take some time to view the numerous historic homes scattered throughout downtown, experience the stained glass in the St. Jean Baptiste church or visit the Musée Morinville Museum. Go shopping in the quaint shops or check out the great food at local restaurants. There is always something to do. This is a family environment where children play, attend excellent schools with bilingual opportunities and enjoy year round festivals and events. With close to 70 service clubs, groups and organizations, volunteer involvement is abundant! Come share our history as we celebrate 100 years! Join us in our yearlong celebration, with exciting seasonal activities. The Snowman, St. Jean Baptiste and Christmas Festivals are hosted by the community every year and several new events will be added as we commemorate our 100th Anniversary. Community Cultural Centre – It’s Ours! The pride of our community is an amazing conference and cultural facility offering first class, fully-equipped conference, meeting & banquet space. Poised to become a hub of activity in the region, this exceptional venue also hosts theatre, music and dance performances, visual arts exhibits, and family programming and community celebrations. Whether you’re new to our community, been here for years, or planning a visit, we invite you to come celebrate with us! Visit www.morinville100.ca for detils about all of the community events.